President Trump and Democratic leaders met on Thursday in an unexpected meeting to negotiate the future of the now defunct Deferred Action for Childhood Arrivals (DACA) program, a program that allowed undocumented immigrants, who came to the United States as children, the opportunity to apply for employment authorization and obtain “deferred status” to shield them from deportation. During the meeting, the President made clear that any legislation that would protect Dreamers from deportation would need to make important concessions that would fall in line with the President’s hard line stance on immigration, such as enhancing border security along the Southwestern border, and funding the construction of a wall between U.S. and Mexico. Later that day, reporters asked the President what he would say to conservative critics about his meeting with Pelosi and Schumer, after Senator Charles Grassley openly criticized the President by saying that the President undercut his progress in the judiciary committee by talking with Pelosi and Schumer. President Trump made clear that his negotiations with Democratic leaders would not result in amnesty or a path to permanent residency for Dreamers. In the meantime, 16 Democratic and nonpartisan state attorney generals are pushing back on the President’s decision to end the DACA program by filing a lawsuit in a New York federal court. 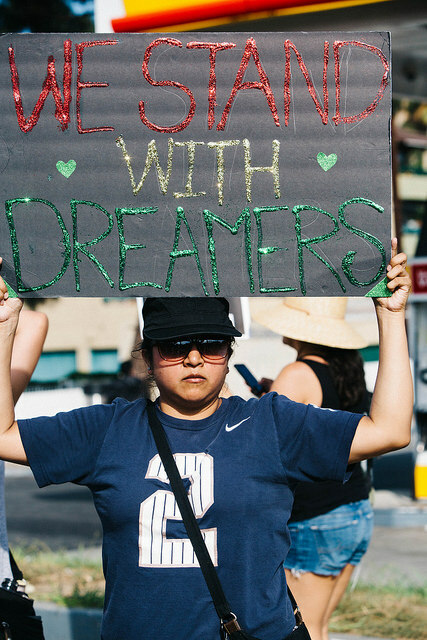 Regardless of these developments, DACA recipients whose benefits will expire between now and March 5, 2018, can apply for a final renewal of their DACA benefits. Renewal requests must be received by October 5, 2017.